Humans display an extraordinary endurance capacity that is superior to that of most land mammals. This observation suggests that endurance provided an evolutionary advantage to our ancestors and is therefore deeply entrenched in our genes. However, in recent decades there have been major increases in mechanization, along with concomitant reductions in the amount of physical activity required for work, domestic chores, transport and recreational activities. As a consequence, the true potential of human endurance is only displayed nowadays by those athletes who purposefully train themselves for endurance athletic events. Endurance training is of course essential for endurance-specific sports such as middle- and long-distance running, cycling, triathlon, swimming, skiing, rowing or kayaking. However, a significant level of endurance is also required for a variety of other sports and athletic events, including team (e.g. football, basketball, rugby, hockey, water polo), racket (e.g. tennis, badminton, squash) and combat (e.g. martial arts, wrestling, boxing) sports. In addition, the deliberate practice of endurance training by physically active individuals for the specific purpose of improving general fitness and health has become an essential adjunct for the attainment of a healthy lifestyle. However, whether in search of athletic excellence or health benefits and well-being, training for endurance is not as simple as it may seem, and a systematic and scientific approach will greatly improve its effectiveness and rate of success. 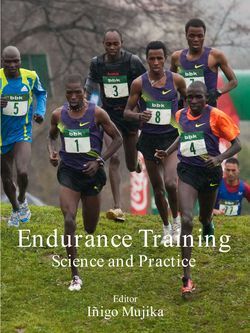 Endurance Training - Science and Practice is an up-to-date comprehensive guide for exercise and sport scientists, students, coaches and athletes who want clear guidelines and best practice advice on preparing for and adapting to endurance activity. Presented in a clear style and format, this book provides a broad base of knowledge and serves as an in-depth resource for anyone involved in research and practice of endurance sports, the fitness industry or health promotion. 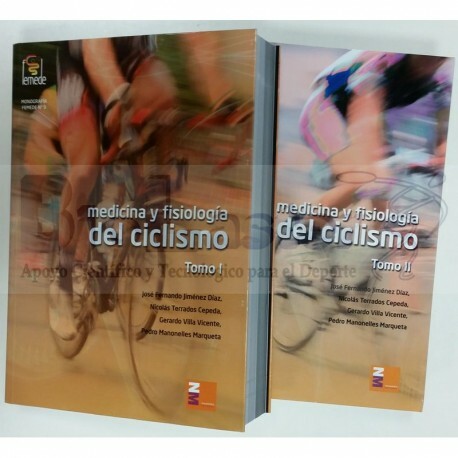 The book contains 29 chapters in which scientific and practical aspects of endurance training are analyzed in depth. The first chapter sets the scene with an introduction to the physiological demands of endurance performance. 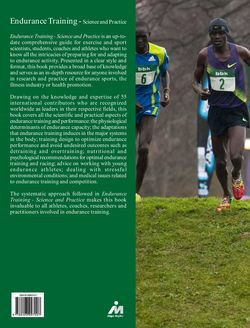 Chapters 2 to 9 provide all the information that athletes, coaches and other practitioners need to design successful endurance training programs, including periodization, quantification of training and competition loads, training intensity distribution, interval training, strength training for endurance, recovery strategies, tapering for optimal performance, and pacing strategies during competition. Chapters 10 and 11 discuss two negative issues endurance athletes may face at some stage in their season and/or careers: detraining (i.e. loss of adaptation), and the much feared overtraining syndrome. Chapters 12 to 17 deal systematically with the adaptations that endurance training induces in the major systems in the body: from the molecular responses to endurance exercise to cardiovascular, metabolic, muscular, skeletal and hormonal adaptations. Chapter 18 addresses different types of laboratory and field-based tests for assessing endurance fitness and performance. Chapter 19 reviews the associations between genes, elite endurance performance and trainability of characteristics necessary for elite endurance performance. Chapter 20 analyzes the role of psychology in endurance training and competition, and Chapter 21 provides an overview of the most recent information on nutrition guidelines for endurance. Chapters 22 and 23 deal with the key health benefits of endurance training, and issues related to endurance training in children and adolescents, respectively. Chapters 24 to 28 focus on the impact of stressful environments including heat, cold, altitude, and unhealthy air and water on endurance training and performance. Chapter 28 outlines current views on the nature and origin of travel fatigue and jet lag, and offers advice on how to minimize their adverse effects. Finally, chapter 29 provides an overview of the medical risks associated with endurance exercise, as well as diagnosis and treatment of common injuries and conditions. The systematic approach followed in Endurance Training ? Science and Practice makes this book invaluable to all athletes, coaches, researchers and practitioners involved in endurance training. I have had the privilege of working with some of the world?s experts on endurance training to produce this novel and comprehensive book. I sincerely hope that you, the reader, will find it inspiring and useful in your daily practice. You can access to the Contents of the Book (PDF, 170 Kb).